Cupid, the now retired Greek God of Love, was quizzical. 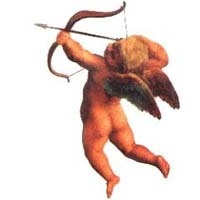 "Hey, Cupid, we’re trying to work on your memoir The Boy Who Shoots the Arrows, remember?" I said. "So far we're only up to Chapter 1, Adventures in the Womb." "I'm sorry, Perry, but I just don't understand how you 21st century Americans are running an idiot for President." "Well, look, your gods weren't so tightly wrapped either,” I replied. “Zeus had poor Prometheus bound and sent an eagle to eat his liver every day." "True, and Zeus was so cruel he assigned the job to an eagle who hated liver." "But you’re right, Cupid, Trump is way worse than Zeus. At least Zeus had a half way decent toupee. "Yes, but if you start singing I Believe I Can Fly, I'm going to drop you." In a twinkling of an eye - not that mine have ever twinkled - we were at a Trump rally in New Jersey. We entered the building and there on the podium in front of us was Donald Trump, giving one of his cogent well-thought through speeches. "Folks," he said, "I have decided that instead of banning all Muslims from entering the United States, I will ban only the ones who do not speak Yiddish." "Yeah, Donald!" shouted a man in the crowd. "What a genius!" "And we will build a ten foot high wall around Salma Hayek!" "A true leader!" screamed a woman in the front. "Crooked Hillary would be the worst President ever, including Grover Cincinnati!" "And Grover Cincinnati was terrible!" yelled another adherent. "This is even worse than I thought," moaned Cupid. 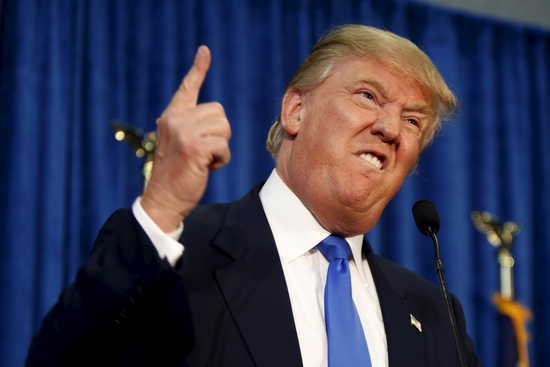 "The orange comb-over is the most reasonable thing about the guy." "What are you going to do, Cupid? Call in Zeus? Will he work for scale?" "No, I'm going to use one of my arrows on Trump." "But you said now that you’re retired your arrows only work to make the person admire one's clothes, not their bod." The arrow found its mark and in a twinkling of the eye - not that Trump's eyes or any part of him have ever twinkled - he started babbling. "What a great sweater, young lady! Love the color of your jacket! You're very well-tailored, sir. Hey, I really dig that man bun!" The shocked crowd began to leave. ”He's not lying, he's not distorting, and he’s not insulting anyone,” they complained. “He’s boring our asses off. Let’s go check out Bernie Sanders!" "You did it, Cupid!" I exulted. "You've saved the world!" "Well, it may not hold, but at least we've learned one thing." "The only person with orange hair who should ever be president is Alfred E. Neuman! The guy is made of Teflon. None of the well placed arrows and barbs seem to slow this misogynistic racist down. This week's ample supply of lies and tales of deceit seem to be falling on deaf ears. May the Gods help us. Yeah, I heard about that Grover Cincinnati. He was almost as bad as Herbert Oreck. If I see Mr. Trump, I'll be sure and compliment him on his nice comb-over. Just leave it to me and Cupid! Thanks, Tracey.